Welcome to Lynch Conner-Bowman Funeral Home. We are pleased to announce that we are now 100 percent locally owned and operated. The citizens of Franklin County now have another option for a locally owned funeral home. 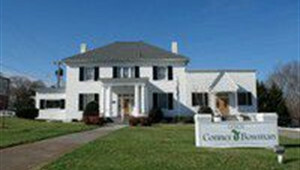 We have completed renovations to our funeral home and now offer everything on one level. We have moved our arrangement room and selection room to the first floor of the building making it more accessible to the families we serve. We have also installed the Family Advisor system from Aurora Casket Company. This will give our families the opportunity to see caskets and vaults without going into the selection room if they are uncomfortable. We still offer our full selection room if a family would prefer seeing the caskets in full view. We have replaced all of the furniture and painted the interior and some exterior of the funeral home and upgraded our chapel. 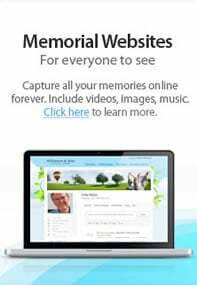 We now offer video recordings of each service and offer video memorials to each family. Conner-Bowman Funeral Home and Crematory is now open for business on Route 220 at the intersection of Wirtz Road. This is a state of the art facility offering 11,000 square feet of space to assist our families at their time of need. Having the largest and most modern facilities in the county will allow us the flexibility to serve each family as if they were the only family we were serving at any time. We offer the County's first on-site crematory which is located in the main funeral home, large spacious viewing rooms, the county's largest chapel (with seating up to 200) a seperate family room, a family lounge and children's room. We also provide state of the art audio and video and our instrumentation of the Allen Organ and Roland Digital Piano. We offer a variety of services including traditional, cremation (full service, direct or memorial services that we will gladly arrange for you at our chapels or at a location that the family selects...this could be a church, community center or even the family home) and veteran services. We handle all of the filing of veteran forms, offer the availability of Military Honors at the graveside and provide a flag for all honorable discharged veterans. As an added service to the families we serve, we provide a dove at the graveside for each family at no additional cost. This is our way of giving back to each family. For those families electing cremation with a memorial service, we offer the dove release at the conclusion of the service in the front of our funeral homes. We also offer a video tribute without a limit to the number of photos as long as they will fit on disk. This service is also offered at no charge. It is the little things that makes the difference in funeral service, such as water at the graveside that our staff hands out, or the warmth of the lap robes that we place on the family during the winter months, the hand fans on those hot days or even opening a door. We strive to give the best service possible, but listening and paying attention to the family is our goal...we welcome any and all requests from the families we serve. We strive to live and serve by the Golden Rule. We will serve each family with the dignity and respect in which they deserve. We have made sure that whatever the need is of the family, we have all of the tools in place to meet that need. We have 25 dedicated staff members ready to serve at any hour of the day and the determination to treat every family as if it were there own. The smallest detail makes the biggest difference and we at Lynch Conner-Bowman and Conner-Bowman makes us the funeral home of choice. Lynch Conner-Bowman Funeral Home and Conner-Bowman Funeral Home and Crematory is operated as one funeral home offering the same professional service at both locations. Our prices will be the same for both facilities and for those families that have already pre-paid their services at Lynch or Arrington Bussey Funeral Home, you will have the option of using either facilty. Your Choice! There will not be any difference in cost to you. Should you have your pre-paid funeral arragements at another funeral home in Franklin County or another location, Virginia Law allows you to transfer these arrangements from one funeral home to another. We can take care of the transfer where you will never have to contact the original firm. We invite you in to see our changes and always know that we are here to serve at your time of need. We are now proud members of National Funeral Directors Association, Virginia Funeral Directors Association and the Independent Funeral Homes of Virginia. Locally we are proud members of the Franklin County Retail Merchants Association. Victor Conner is a native of Covington, Virginia, a son of the late Marvin C. Conner and Ina Cales. As an owner, he serves as the Manager of Conner-Bowman Funeral Home and Crematory and is an active member of Boones Mill United Methodist Church, member of the Boones Mill Lions Club where he received the highest honor one can receive from Lions International, The Melvin Jones Award, and a past member of the Board of Directors of the Virginia Funeral Directors Association. He is also a Past-President of the Blue Ridge Funeral Directors Association. Victor has over 25 years of experience in the funeral industry and has completed his training to be a certified crematory operator through the Cremation Association of North America. He is also a fully licensed insurance agent through the Commonwealth of Virginia. He serves each family as if it were his own. His compassion for his work is seen with every family he serves. Victor is married to the former Matilda (Tillie) Angle and they have one daughter, Emilee. They make their home in Boones Mill. In his spare time, Victor plays Bluegrass/Bluegrass Gospel music with his brother and two sisters, The Conner Family. Kevin Bowman is a native of Franklin County. He was born in the Monte Vista Church of the Brethren community of Callaway where he lives today with his wife Celena Greer Bowman, daughter Julianne, son Jonah and daughter Kendall. Kevin serves as Owner/Funeral Director of Lynch Conner-Bowman Funeral Home and Conner Bowman Funeral Home and recently completed the training to operate the crematory through the Cremation Association of North America and has a full insurance license through the Commonwealth of Virginia. After graduating Franklin County High School in 1995, he graduated from Gupton Jones College of Mortuary Science in Atlanta , GA with Salutatorian honors. Kevin is an active member of Fairmont Baptist Church, where he serves as Deacon and teaches Sunday School. He also is an active member of the Callaway Ruritans, the Square Table Business Associates and is a past President of the Blue Ridge Funeral Directors association. Rodney was born and raised in Henry County. He is a 1975 graduate of Fieldale Collinsville High School, attending Patrick Henry Community College before graduating from Gupton Jones College of Mortuary Science in Atlanta, GA. He started out in funeral service at the age of 15 with Collins Funeral Home. In 1991 he moved to St. Paul, VA and was employed at Huff Cook Funeral Home before transferring in 1993 to Lynch Funeral Home and was manager for 7 years. In August of 2000 he became the manager of Lotz Funeral Home in Vinton and now has joined Lynch Conner-Bowman and Conner-Bowman Funeral Homes. We are pleased to announce the addition of Robert B. Burger, Jr. (Bob) to our staff. Bob was formerly associated with Collins-McKee-Stone Funeral Homes serving as Manager and General Manager for over 27 years. 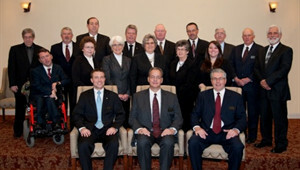 Bob, a fifth generation funeral director, was appointed to the Virginia Board of Funeral Directors and Embalmers by Governor Mark Warner in 2004, and was reappointed to his second term by Governor Tim Kaine. Bob was a past president of Bassett Volunteer Fire Department and the Bassett Kiwanis Club. He serves as Chairman of the Board for River Community Bank, N.A., Martinsville, and is a member of Bethlehem United Methodist Church, Moneta. Along with his wife Linda, they have three children; and four grandchildren. They make their home on Smith Mountain Lake. Bob looks forward to serving his friends in both the Henry County and Smith Mountain Lake areas, giving them another option for their funeral needs. Jacob Ingram, a native of Franklin County, is the son of Gordon and Tina Ingram. He lives in the Boones Mill area. Jacob graduated in 2003 from Franklin County High School. He has been a volunteer at Carilion Franklin Memorial Hospital for the last six years and continues to do so when he can. He has always liked to keep busy and helping others is what he likes to do. He joined our staff in April of 2010 as a funeral attendant. He hopes to make everyone's experience at Conner-Bowman Funeral Home as comfortable as possible. In his spare time, he likes to race R.C. cars, hunt and fish with friends and family.